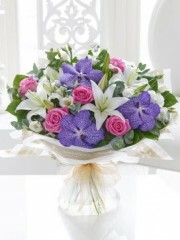 Dunblane Flowers have a great range of flowers and gift which can be sent by you, easily online. By being able to order your flowers from Dunblane Flowers online you can order in your own time from the comfort of your home. 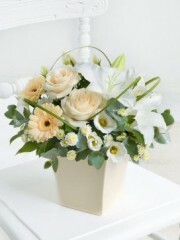 Dunblane Flowers have a large team of skilled and creative florists who work hard and aim to please all of our customers. Dunblane Flowers offer same day delivery on our flowers we ask that you place your order with us before 3pm so we have plenty of time to complete your order and have it delivered to where you want your flowers to go. With our extensive network of trusted florists all over the UK and even internationally you can send flowers from Dunblane Flowers to over 140 countries in the world! Dunblane Flowers have lots to offer with chocolates, teddies, balloons, wines and champagne. 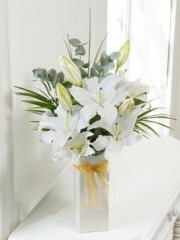 Our customers love sending flowers to make someone smile and brighten up their day, if you need any help with deciding what to send or would rather place your order with us over the phone you can call us and one of our florists will gladly help you with anything you night require from Dunblane Flowers.